New information has led police to reopen their investigations into the murder of two Catholic men in Belfast. John Devine was shot dead in his Fallswater Street home in July 1989. The 37-year-old father-of-three was with his 13-year-old son when the killers struck. The murder was claimed by the Protestant Action Force, a cover name for the UVF. Short Strand taxi driver John O’Hara was shot dead in April 1991 when he was lured to an address in Dunluce Avenue in South Belfast to pick up a fare. Two UDA gunmen shot the 41-year-old father-of-five before escaping across a railway footbridge towards the nearby Village area. Officers from the PSNI’s Legacy Investigation Branch (LIB) say they’ve received new information and have appealed for anyone with any further information to get in touch. “As a result of information we have recently received, we believe we are now in a position to progress both these investigations however we need the help of the public,” said Detective Inspector Neil McGuinness of the LIB. 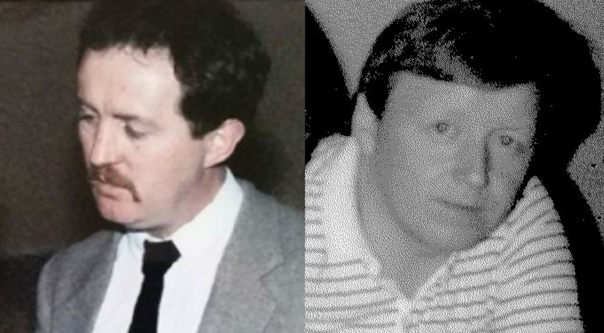 “I am appealing to anyone who was in the area at the time of either of the murders or anyone who has information in relation to the activities of loyalists in the area in the late eighties and early nineties to come forward. Police say both men were entirely innocent and the killings were sectarian in nature. The LIB began work earlier this year after the widely discredited Historical Enquiries Team (HET) was stood down. It had faced widespread criticism during its ten years in existence, but its credibility was irreversibly damaged after a 2013 report by Her Majesty’s Inspectorate of Constabulary found that the HET had investigated cold cases in which the suspects were employed by the state with “less rigour”. LIB have asked anyone who may have information about either of the murders to contact them on the non-emergency number 101 or on 028 92 589140. Gee, Squinter, this IRA thing is kinda confusing, ain’t it?